Divine Ire is a channelling spell that got introduced into Path of Exile with patch 3.6. By default, the skill is Physical-based with 50% of base damage converted to Lightning. While you are channelling the skill, you essentially gain charges, which cap at 20; if you have enemies nearby, you damage them with little beams of energy and gain changes faster. Once you release the channelled Divine Ire, you release a powerful beam of energy that deals an immense burst of damage based on charges. The skill gains 100% more damage with hits per charge after the first one, which essentially means you will do 1900% more damage with hits at 20 stages. The reason we choose Trickster for this particular build is mainly because of Harness the Void. Combining this ascendancy node with The Eternity Shroud can result in insane amounts of Chaos damage on top of your Lightning damage. This ascendancy class also has great balance between offense and defense. The build can be played on a budget. A simple Tabula Rasa can carry you a long way. Even on a 4-Link the skill has enough damage to deal with content early on. Building around The Eternity Shroud means you will want to have only Shaper-based items equipped, which is kind of specific and can be a pain in the beginning of gearing. Offensively, the build allows for an aggressive playstyle. Keeping your Power/Frenzy charges, flasks and other buffs up all the time will allow you to move around and clear quickly. Releasing a 5-charge of Divine Ire should be enough to kill most monster packs. Channelling for around a second here and there should be done in order to keep up the buff from Infused Channelling Support. When fighting tough single targets, make sure you drop down your Wave of Conviction totems and charge up stronger beams, preferably releasing Divine Ire at 15+ charges. Defensively, keeping your distance should be easy with this build, since Divine Ire’s beam has great range. Versus white and blue packs of monsters, you will not really worry about taking a lot of damage since you will probably obliterate them with a single one-second cast. You can deal with Porcupines by using your totems as a meat-shield. The build achieves respectable amount of damage mitigation via buffs, passive tree nodes, ascendancy nodes, and flasks. For Playstyle, casting quickly and releasing Divine Ire will be enough to kill everything around and in front of you. Keeping up a good tempo will be required in order to keep up your Power and Frenzy charges. Against bosses, drop your totems, which will help out with single target damage output and lower enemies’ Lightning resistance. With a good amount of cast speed you will quickly reach 20 stacks of Divine Ire, which will hit bosses often for a big portion of their life. Harness the Void is an ascendancy node that has the potential to deal incredible amounts of damage in a single hit. Swift Killer provides great ways to generate Power and Frenzy charges, which are also sustainable in single target fights. Ghost Dance allows you to make use of the Ghost Shroud charges, which in the long run will keep you safe and give you great amount of cast speed; this ascendancy node also provides a good amount of chance to evade attacks and spells, along with 10% movement speed. Escape Artist implements a very interesting mechanic, which is not seen very often in Path of Exile; this ascendancy node allows you to have even more Energy Shield per Evasion Rating on your Body Armour and the reversed effect for your Helmet (more Evasion Rating per point of Energy Shield). You also become immune to Stuns while you have Ghost Shrouds, increased cast speed per Ghost Shroud, and 20% chance to Evade spell hits if you have energy shield. This is the endgame passive skill tree for the build. We mainly focus scaling Physical damage, Lightning damage, Critical Chance and Multiplier, Cast Speed, Channelling nodes and Maximum Life. All the Power charges should be picked up since the build has a great way of sustaining them all the time. Divine Ire is your main skill, which should ideally be used in a 6-Link. For mobility, use Flame Dash. Buffs like the Zealotry aura and Arctic Armour will provide a good balance of offense and defense. Wave of Conviction totems will lower the enemies’ Lightning Resistances while also providing additional single target damage; these totems should also be used as a meat-shield against Porcupines. Summon Lightning Golem provides additional cast speed. Divine Ire is a channelling skill that deals more damage the longer you cast it. The skill has a stage maximum of 20, which stacks faster when you draw energy from rare or unique enemies. The skills base critical chance is 6%, which is ideal when playing a critical-based build. We recommend one link that works great for both single target and clearing. Immortal Call can be used in order to prevent death from consecutive physical hits. You can start using Divine Ire at level 28, it is a great leveling skill. At this point you should have ascended into Swift Killer, which allows you to pick the Power charges near Shadow and Witch, then you should just follow the endgame passive skill tree(). At level 12, you should drop the Explosive Trap link and start using Storm Burst. At level 28, you are finally ready to start using your signature skill, Divine Ire. Simply swap the gem with Storm Burst, the supports should remain the same. Why choose Trickster over other viable ascendancy classes? Trickster brings in very interesting mechanics to build around, which other ascendancy classes do not have. Harness the Void can make you feel so powerful when you get a decent proc, keeping up charges and Ghost Shrouds really make the playstyle fun. 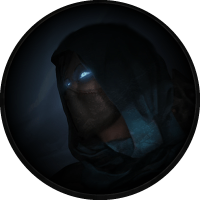 This ascendancy class has great balance between offense and defense; other classes like Inquisitor and Occultist are also great choices, but for this particular build guide we choose the Trickster. The Divine Ire Trickster is a channelling spell-based caster that specializes in releasing powerful beam of energy that obliterates everything in its path. The build has the potential to do any content the game has to offer.